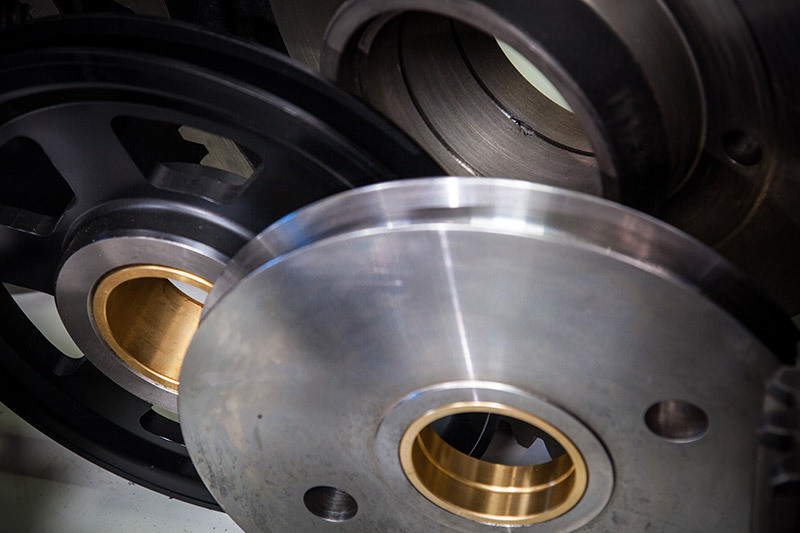 Possibly one of the world’s oldest mechanical devices the first sheave probably appeared not too long after the wheel, as a pulley, now sheaves are a major component in the lifting ability of your crane along with a seemingly endless list of other applications. 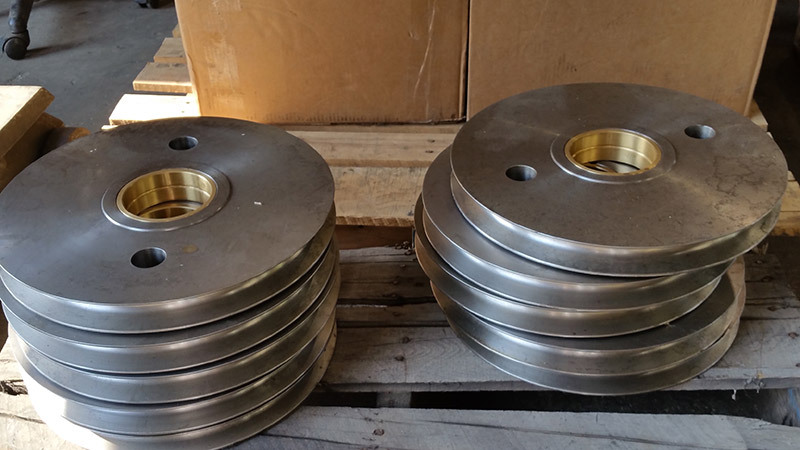 With Mitchell Crane's vast experience working with cranes and manufacturing parts we have the know-how to produce high quality aftermarket sheaves for your crane in addition to sheaves for almost any application you may need. We stock a large selection of new and used sheaves for American® and Link-Belt® cranes. We manufacture sheaves starting from Grey Iron Castings and from Billets of 4130, 4140 or 4145 Heat Treated Material and other materials depending on the application. As fiber technologies become more widely used in crane application, we have begun to offer these materials as well and are proud to offer new lines of synthetic hoisting ropes such as Plasma Synthetic Rope®. Sheave inspection is crucial to the safe operation of your crane and a key component in reducing cost associated with replacing wire rope. Typically we see sheaves being replaced only when bearings are blown out or bushings worn through and certainly these are good reasons to replace them, however, as the groove profile of a sheave changes due to normal use it will cause the wire rope to become deformed which will diminish its integrity and life span. 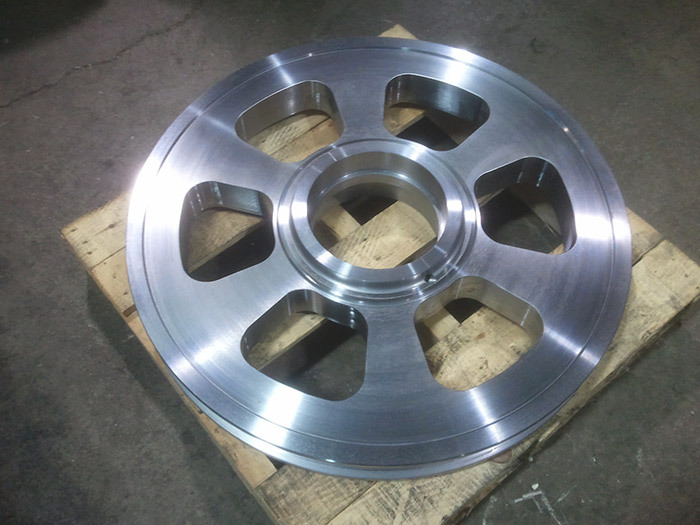 Repair services for used sheaves can be as simple as replacing a bushing or a more extensive repair may include welding up the inside of a sheave and re-machining it for new bearings. There are many factors used to determine if a sheave can be repaired or if repairs are even cost effective. Link-Belt and American Sheaves are in Stock at Mitchell Crane! We manufacture and stock sheaves for multiple models of Link-Belt and American Cranes, refer to our parts table for a list of the more commonly replaced sheaves we keep on hand listed under the various models of cranes we support. Call us to keep up with what machines we are dismantling and to check our stock of used sheaves available for your specific machine. Don’t See The Sheaves You Need?